Inputs are logs, OSINT sources or output from 3rd party tools. Outputs are enriched data. A good example is to use the MISP platform. 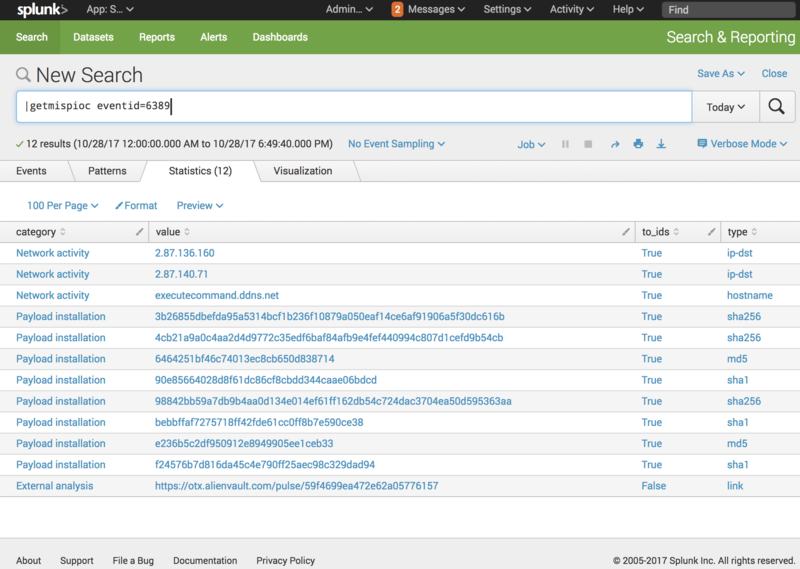 Useful IOC’s are extracted at regular interval via the API and injected into Splunk for later searching and reporting. This process has a limit: new IOC’s are not immediately available when exported on a daily basis (or every x hours). When we see new major threats like the Bad Rabbit last week, it is useful to have a way to search for the first IOCs released by security researchers. How to achieve this? You can run manually the export procedure by starting a connection on the Splunk server and executing commands (but people must have access to the console) or … use a custom search command! 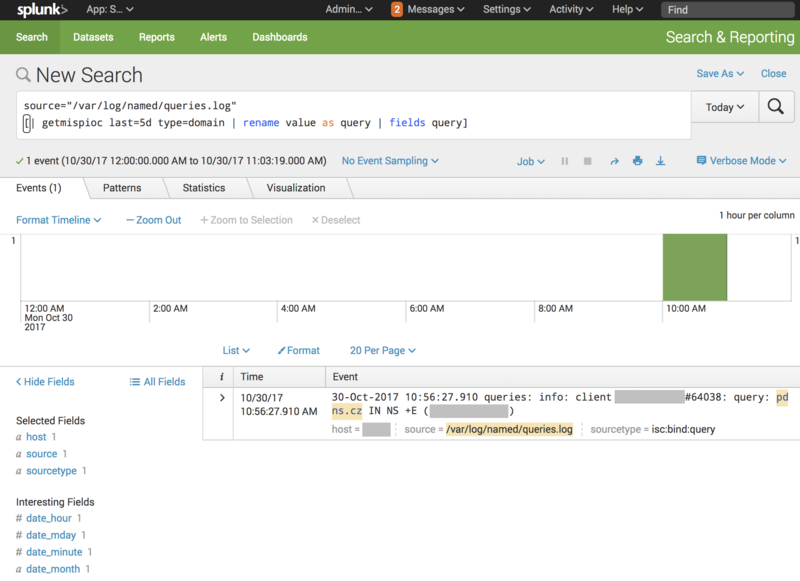 Splunk has a very nice language to perform queries but, do you know that you can expand it with your own commands? How? A Splunk custom search command is just a small program written in a language that can be executed in the Splunk environment. My choice was to use Python. There is an SDK available. The principle is simple: input data are processed to generate new output data. The basis of any computer program. The custom command is based on PyMISP. The script and installation details are available on my github account. I must python 3 ? Or you have other way ? 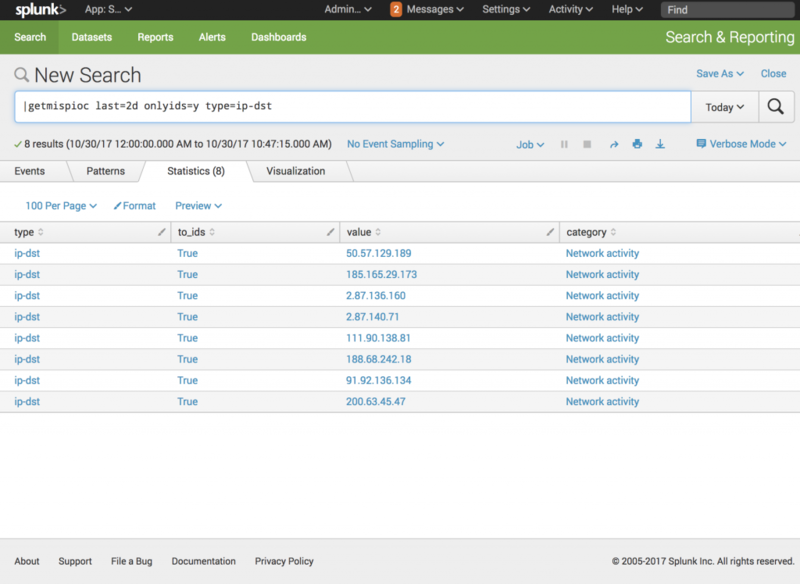 Pingback: Suspicious Domains Tracking Dashboard, (Thu, Nov 16th) | Jeremy Murtishaw, Inc.
Pingback: Splunk Custom Search Command: Searching for MISP IOC’s – Insuring Your Future… Today.